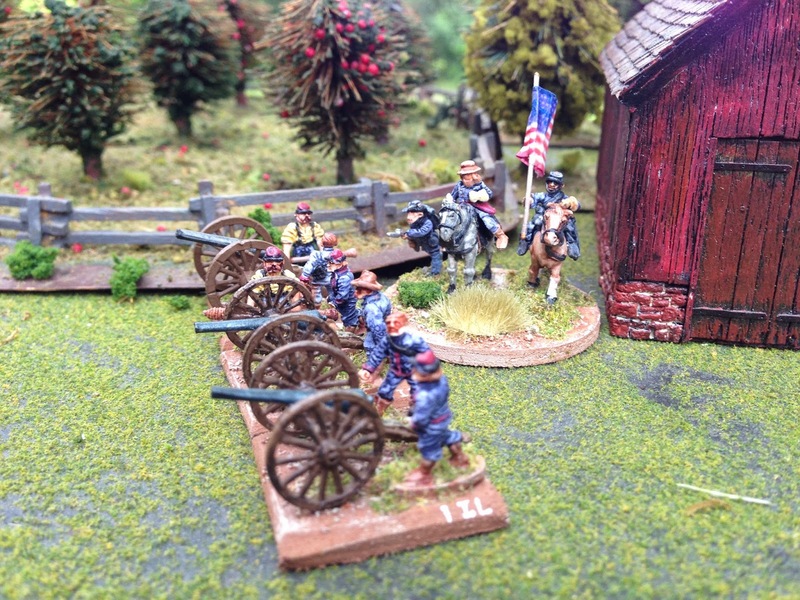 Well, as promised here are two more units I painted from my most recent Naismith 15mm ACW eBay purchase. I really love these old figures! They have a lot of charm and animation, although a few of the weapons are oddly sculpted. 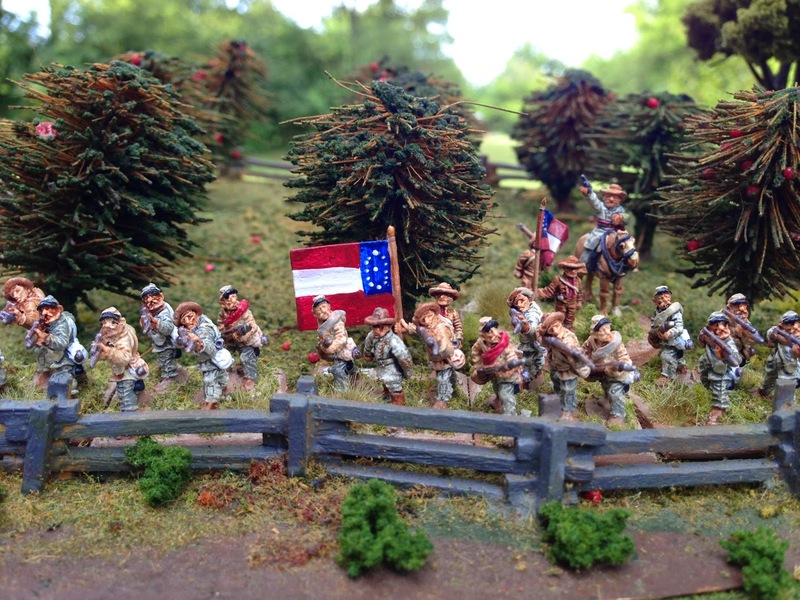 I'm getting ready for a big "Shiloh" game soon and painted these units specifically for that scenario. 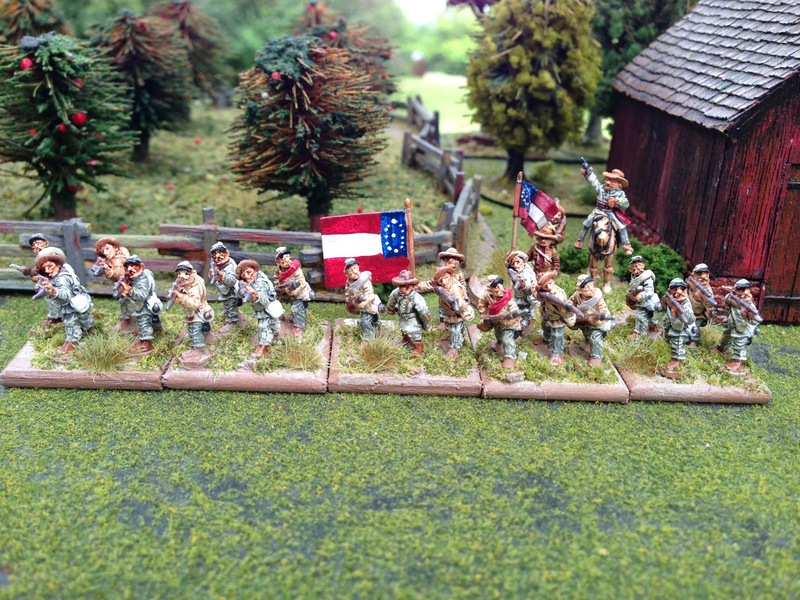 We'll be using "Johnny Reb 2" and playing the eastern flank of the battle. 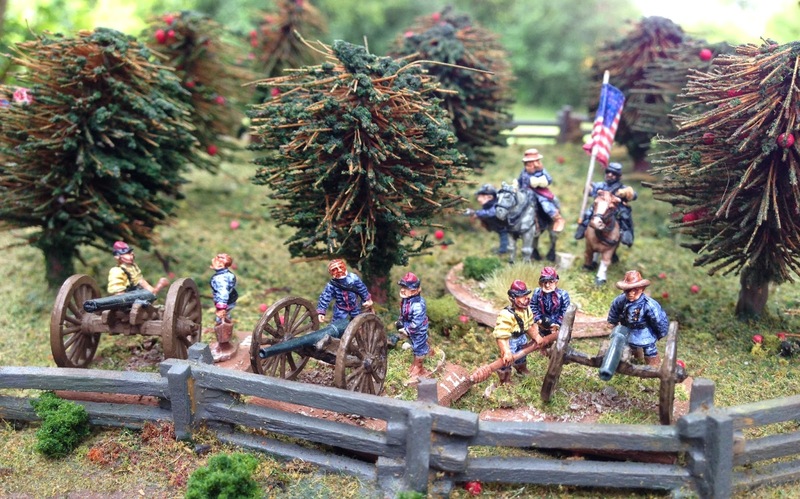 The 5th Mississippi defends an orchard. I left the huge lead flag on one figure and cut it off the standard bearer at the rear. Will these boys hold the line and save the day for Grant? Nice looking figures and game. nicely painted and great looking figures to boot! well done! I still can't believe that these are 15mm, you've packed so much detail into them. Great looking Rebs, very nice work!